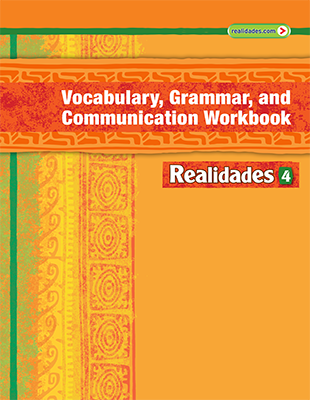 Realidades 4 Digital Edition ©2014 provides standards-based instruction that seamlessly integrates vocabulary, grammar, communication, culture, and digital learning for upper level Spanish. This text features 12 thematic chapters with a focus on the integration of language and contemporary culture, a review and expansion of vocabulary and grammar, and extensive practice in the three modes of communication (interpretive, interpersonal, and presentational). The cultural themes allow for a deeper exploration of cultural products, practices, perspectives, and comparisons. 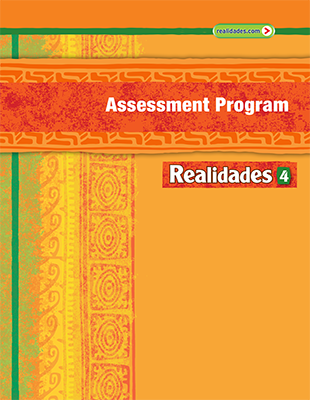 Realidades 4 can be used effectively as the fourth year program in an articulated sequence of instruction, as a pre-AP text to Abriendo paso ©2014, or as the core text in an AP course. The program resources are available in print, on DVD-ROM, or online. 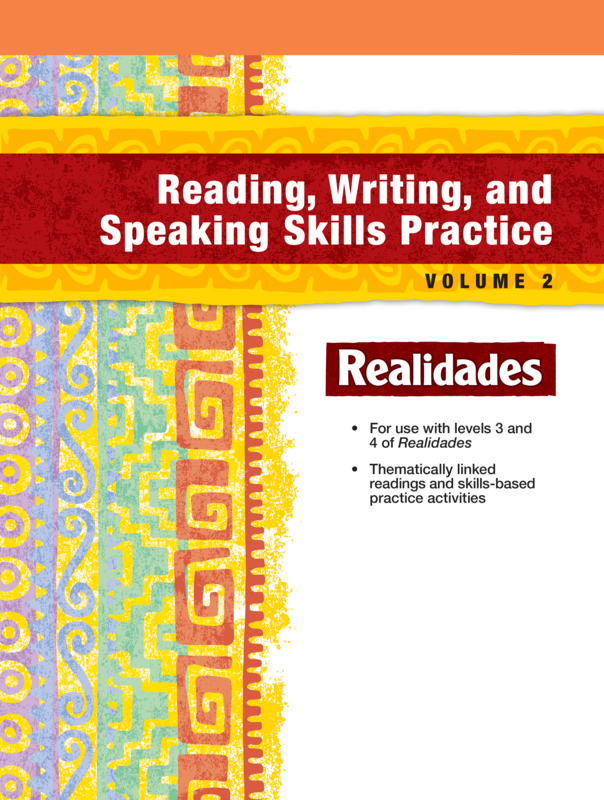 The Digital Courseware, realidades.com, offers the newest and most powerful online learning system available in any high school Spanish program. 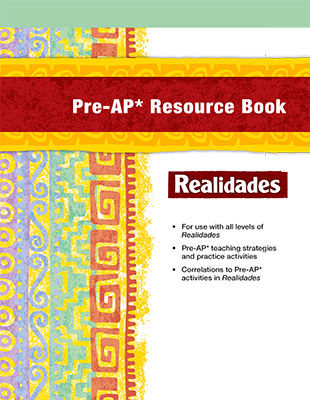 The 4-color laminated and 3-hole punched Grammar Study Guides provide complete support for grammar founds in Spanish 3. Sold in packets of 35.